On the concert poster that supports Black Sabbath’s “The End” farewell 80-date tour an inferno encompasses the Northern Hemisphere of Earth. That includes the south shore of Long Island that at times this summer has felt a bit like the portrayed firestorm. On August 17, Black Sabbath started the second leg of the North America swing of its farewell tour at Jones Beach Theater and with the help of 15,000 raucous fans set the beach ablaze (figuratively, of course) with a vehement and booming show. Before I get to breaking down Sabbath, let’s start with the turn out. I’ve been to plenty of concerts at Jones Beach, and I’ve never seen it as crowded as it was that night. The turn out was a fascinating mix of black-clad Sabbath fans. The mark of a great band is its ability to attract a range of fans, and Sabbath has developed that loyal following over the 45+ years of existence. The opening act was a band I had the opportunity to profile back in February. You can check that out by following that link. The band was an excellent choice as an opening act. Rival Sons plays a style of Southern Rock injected with heavy metal vocals and instrumentals. Back in February I wrote that the band features “old-style rock n’ roll music with a keen blues sound, driving percussion, and raspy vocals,” but after seeing them live I’d like to emend those descriptions, and add that the band can also crush a lick and headbang with the metal bunch. Rival Sons is an original sound, and you should check them out. Plus, the keys/synth player has an Amish-style beard that is all kinds of awesome. Black Sabbath played a 14-song set in around 2 hours. The set featured the classics, but the band dispersed the hits throughout the nights, which was kind of them: I hate when bands wait until the last three songs to play the top hits. After a dystopic video opening (the video was a cool supplement throughout the show except for when it stopped working for around 15 minutes, but what are you going to do), Black Sabbath came out to the apropos “Black Sabbath,” and Ozzy, the grand master of wicked ceremonies, greeted the crowd with an energy that can be best described as effervescence. Throughout the night, he bounced around the stage, throwing up his hands to rile up the crowd, and leading several call-and-response lyric and clap sessions. He even prostrated twice and professed his love for the fans. He was Ozzy at his finest, and he made it explicitly clear how much he enjoys to be on stage. The concert must have also been joyous for Tony Iommi, who was diagnosed with the early stages of lymphona in 2012 but announced only a few days prior to the concert that his cancer was in remission. Iommi is a wonderful guitarist, and he proved it with his usual stage adeptness and fretboard adroitness that he has had his entire career. Also, let’s give love to Geezer Butler whose bass is not made with any animal products; he is a strict vegan (which I find excellent as a vegetarian and husband to a vegan). Butler mans a potent bass guitar, and did so throughout the concert. The rest of Black Sabbath is keyboardist Adam Wakeman, who strangely played the role of man behind the curtain, as he was not actually visible on stage; Ozzy said it was because he was too ugly, but I think the massive amplifiers blocked him, and session drummer Tommy Clufetos, who played a sick drum solo during “Rat Salad” that gave the rest of the band a piss and water break, and entertained the crowd thoroughly. All-in-all, what else can I say. Black Sabbath was tremendous. The crowd loved every second of the show. It was a riotous affair. Yes, Ozzy, we had fun. Excellent show. Get tickets to this one if you can. With emphasis on heavy synths and the electric guitar, the track titled Gateways from Salt-Lake City based group Departure’s newest EP called Gateways delivers angst and agony all wrapped within this heart felt song. Lyrics such as “shut the lights off”/” I’m exactly what you think I am”/, you never know how deep my sorrow goes/ all make the listener ride the wave of intense emotion within the tone of the song. Additionally, the theme of personifying lyrics makes the listener connect even more; “agony has a new face, it looks just like me”. The vocal talents within Departure are strong, drawing similarities to Copeland and the early days of Coheed & Cambria. Setting an impressive mark in the music world so far with opening for Phantogram Neon Trees, Cold War Kids, and many more Gateway is here to stay with their lasting mark within their music. 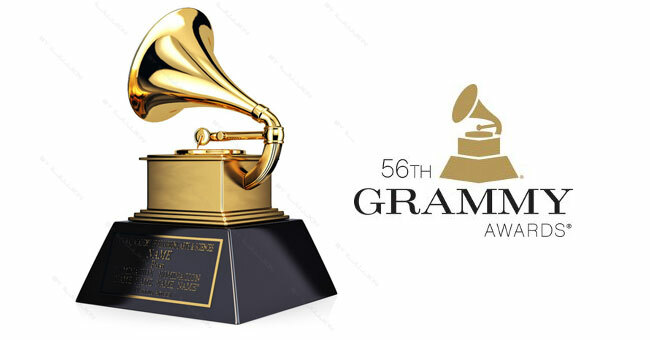 While I’ve made my thoughts about the Grammy Awards clear before, I did happen to catch most of the show last night while I did some work, and, unlike in year’s past, the show actually sustained my attention and did not make me apoplectic. The big winners of the night were Daft Punk, Lorde, and Macklemore + Ryan Lewis, and I was perfectly fine with those artists cleaning house. Why? Musical aptitude. Simply, they are all talented, and I am a sucker for when musicians with actual talent are provided with awards – unfortunately, this is not usually the case. But enough about the awards. While the Grammys is an awards show (it is right there in the name), we all know that people tune in to see the eclectic pairings of music superstars perform to a crowd of awkward Taylor Swift, old Yoko Ono shoulder dances, robots, and Sir Paul. And while I was a bit angry that the Grammys did not have a performance tribute to Lou Reed – one of the most important musical figures in the rock era – most of the performances were on target. Of all the unique performances of the night, my choice for best moment may surprise some of you. Was I the only one who though Metallica and Lang Lang absolutely killed it? “One” is a pretty sick song, and it does feature one of the greatest breakdowns in metal history. The addition of Lang Lang’s frenetic concert piano added an odd and appealing element to the piece, and the solo exchange was on target and such a pleasure to listen to. Perhaps the performance was my favorite just because it was so darn heavy. The award show (which ended late) had been dragging on a bit, and Metallica woke every viewer (and audience member) up with this performance.